Terrific light glove - I hate bulky gloves. I also want the pole in my hand - this system keeps it right there without cumbersome straps. It's only too bad this glove is never available in XL!! Please Dave, make some more! 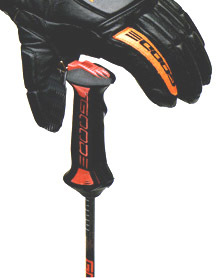 Click the button below to add the Ski Gloves - Spring to your wish list.